Today is National Macaroon Day! 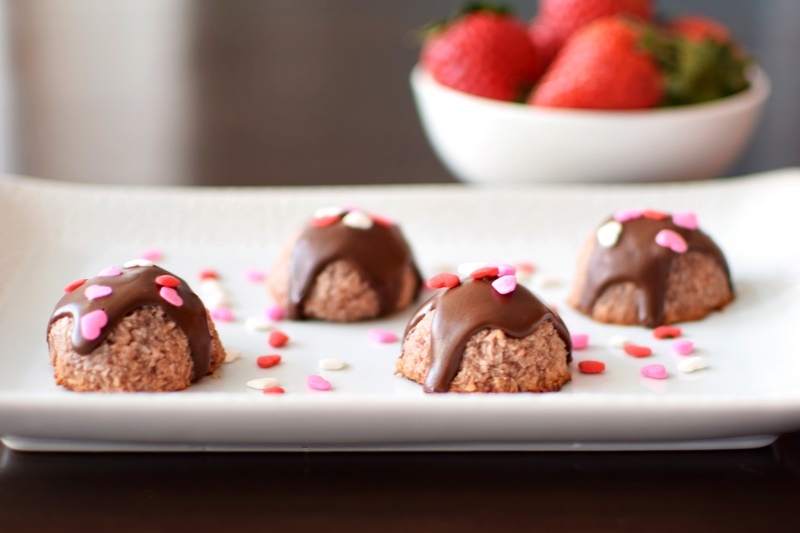 And what better way to celebrate than with a simple, everyday, mini coconut macaroons recipe. 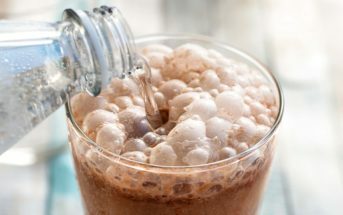 This basic recipe was originally shared with us by Sugar Savvy, a former website that Sylvie Shirazi wrote for. 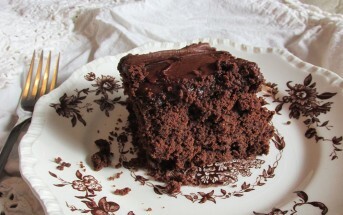 You can now find her at Gourmande in the Kitchen, and I’ve updated her wonderful recipe for you below! By ingredients, this recipe is dairy-free / non-dairy, gluten-free, grain-free, nut-free, peanut-free, soy-free, and vegetarian. Eggs are an integral component in this recipe, but you can trial whipped aquafaba as a substitute – it might work! If you confuse eggs with dairy, you’re not alone. See this post: Are Eggs Dairy? The measurements in Sylvie's original recipe are given in grams, but I've also added cup conversions. 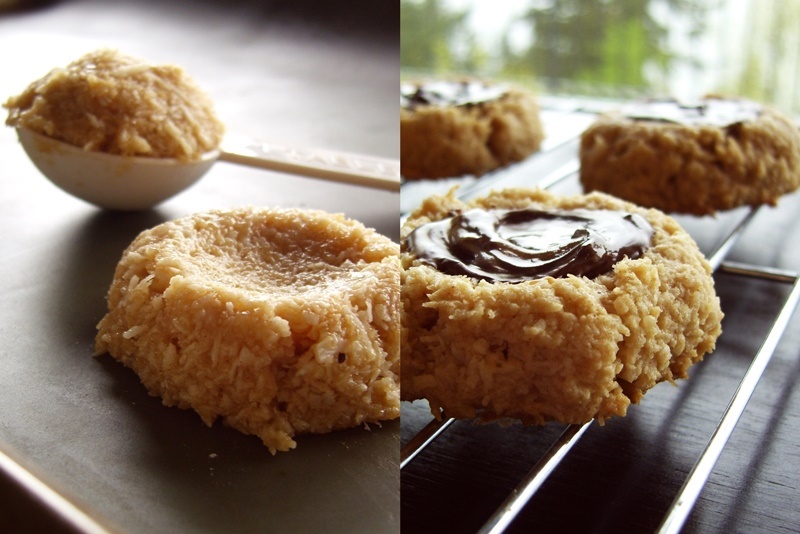 For a flavor twist, she recommends stirring dairy-free mini chocolate chips into the macaroon dough before scooping. Preheat your oven to 400ºF and line a baking sheet with parchment paper. In a medium bowl, whisk together sugar, egg whites, and vanilla until frothy. Fold in the coconut until fully moistened. Scoop tightly packed teaspoonfuls of the mixture evenly spaced onto the baking sheet. 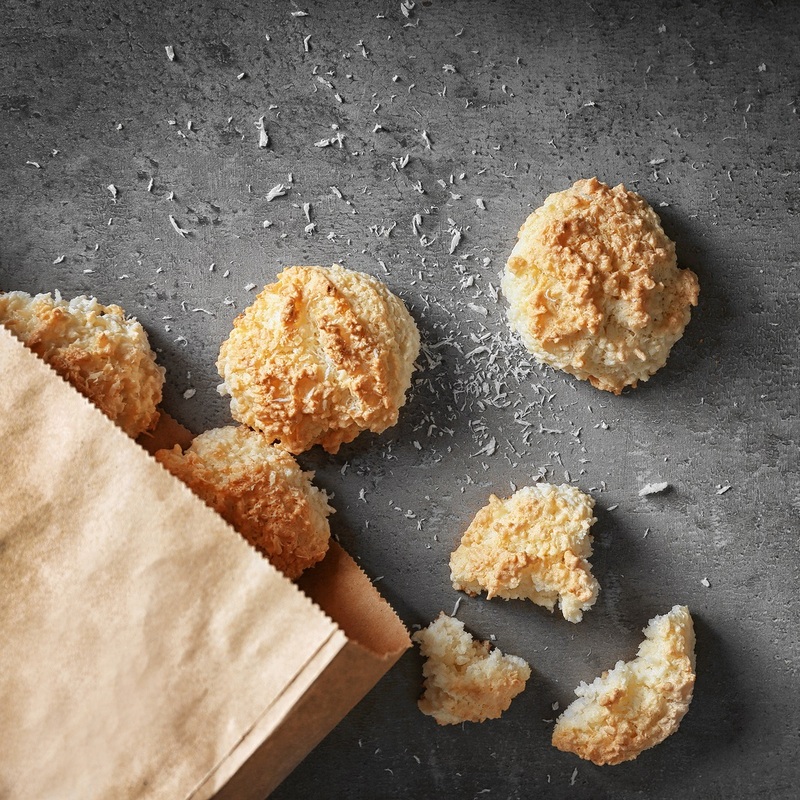 Bake for about 5 minutes, or until the tops of the mini coconut macaroons turn a light golden brown. Do not over bake or the centers will not remain soft and chewy. 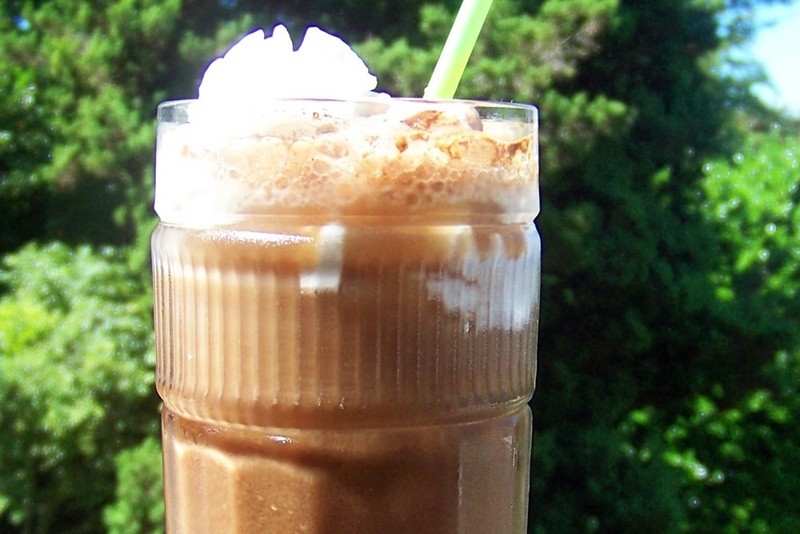 Coconut Note: Unsweetened coconut is drier and often finer than sweetened coconut. Consequently, it absorbs the egg whites and gives the cookies their characteristic soft and chewy texture that's a bit crisp on the outside. I love this style of macaroon. They are so yummy, I’ve never tried making them myself. These macaroons look great but I’m really excited about the link you added about confusing Dairy & Eggs. We have an allergy to both and so many times (90%) someone asks if eggs are dairy. That’s a post I try to remember to share often Nicole – so many people get confused! I love macarrons!! These look so yummy, can’t wait to make them. Just hope I don’t eat them all myself in one day! 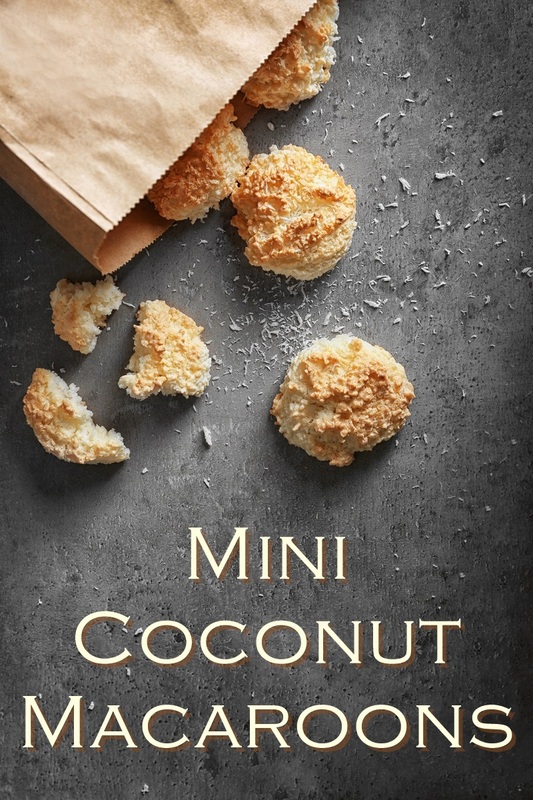 These mini coconut macaroons are calling my name! They look so delicious! 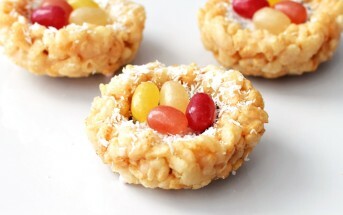 Big fan of coconut so these are a must make!